Green dot Moneypak is a computer infection that tries to make users use pre-paid debit card in order to lure their money out of them. It follows the same pattern of action as FBI Moneypak, Stop Online Piracy Automatic Protection System Virus and other ransomware applications from the humongous Ukash Virus family. Green dot Moneypak actually looks like a direct descendent of FBI Moneypak as it tries to make users believe their computers have been locked by FBI due to illegal cyber activities. 1. Restart your computer and press F8 to load the system in Safe Mode with Networking. 2. Once the system loads, access the Internet and download SpyHunter. 3. Install SpyHunter in Safe Mode with Networking and remove Green dot Moneypak from your computer. 1. Follow the steps described above from 1 to 2. 2. Click on Start menu button and then launch RUN. 3. Enter "msconfig" into the box and press Enter. 4. When System Configuration menu loads, click on Startup tab and uncheck all program on the list. Click OK.
5. Restart computer again in Normal mode to install SpyHunter. Once it is done, remove Green dot Moneypak automatically with it. 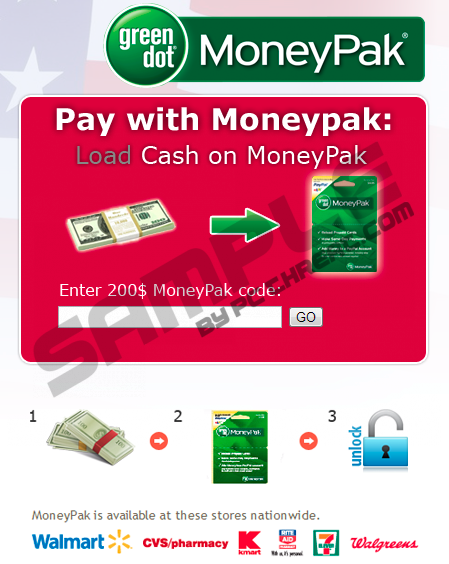 Quick & tested solution for Green dot Moneypak Virus removal.